Team USA | Welcome to Canadica! I was offered the honor of writing this post by uber-blogger Sweetmother. When you read someone and marvel at their wit and talent and then they make comments on your stuff, it’s pretty heavy mojo. When the blogoddess actually asks you to write, there is no choice really. My task is to write about Canada and/or America. On the one hand, my never having been to Canada might seem like a big disadvantage. On the other, my perceptions of our great neighbor to the north are unsullied by anything as trivial as reality. Though my assigned slot is not until the end of January, I’m pledging to write the entire post and save it before reading any of the other contributions, lest I somehow dilute my opinions with anything accurate they may have written. Plus, there are some ridiculously talented people going before me, and reading their stuff on the same topic will likely only intimidate and/or nauseate me. Be right back, gotta go throw up based on principle. Hockey – That’s Canadian! I’ve never played it, though I’ve watched more than a few games. I never understood the tacit acceptance of stopping the game for fist-fight breaks, but then after watching it in the Olympics I discovered that I missed the pugilism. French – They speak it in some of the country, but not in others. Here in the US of A, we speak bad English, except in ethnic neighborhoods, where we speak Vietnamese, Chinese, Spanish, Portuguese or who-knows-what. Box lacrosse – Indoor lacrosse, played in hockey rinks without the ice. It’s an effective use of hockey rinks during Canada’s 5 weeks of warm weather each year. Dudley Do-Right – (The actual drawn cartoon, not the Brendan Frazer cartoon). If Do-Right is any indicator, Canada’s Mounties wear red blazers and big funny hats. I’d imagine that the criminals there, unless colorblind, have a pretty good shot at avoiding “the man”. I’d further speculate that undercover work by the Mounties invloves dressing as the winner of the Masters or as a Century 21 realtor. Saying “Eh?” after nearly sentence – I’m from a place which is also largely ridiculed for its accent, and as such, I shouldn’t give credence to this one, eh? That’s pretty much it, barring a Google search for “poutine”. My knowledge of Canada then, is based entirely on cartoons, sports and stereotypes. 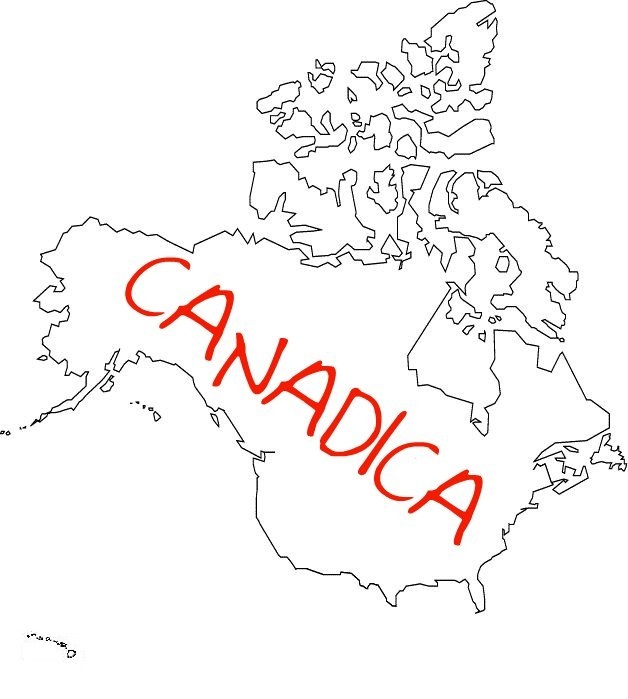 I’m kind of embarrassed that I’ve never been to Canada. I’ve spent most of my life within a couple of tanks of gas from the border. It’s closer to me than Florida’s usually been. Though I’ve been to Florida a few times, somehow Canada never provided me with enough of a siren song. One might speculate that it’s the lack of balmy temperatures in the winter or the fact that you can see Niagara Falls from either side of the border. Just to clarify, I’ve never actually been to Niagara Falls either. I got frustrated with my lack of progress on this mess of a post and decided to surf for a while. I came across one of those annoying lists they post on Yahoo to get you to click links on their site. For me, the lists sometimes serve as some sort of bizarre little measuring posts. I get a sense of self-worth if my life experiences have crossed paths with items on the list. The first one I clicked listed the top seafood restaurants in the USA. Picked by whom? Based on what? It doesn’t matter, I clicked on it in hopes that I had been to one or two of the choices. I had not. In fact, I had only heard of one of them, and that’s because of watching “foodie” channels on cable. Yahoo knows a good list sucker when they’ve got one on the hook, so they offer more choices at the end of the first list. Another one struck my fancy, and I happily clicked it, eager to procrastinate. As it happened, the new list was the top ten US destinations every American should visit. I’ve been to Crater Lake in Oregon a few times, and it truly is an amazing place. It’s awe inspiring, majestic and often shows up on such lists. If it would have been on this list, it would compensate for my never having been to any of the seafood restaurants. I could also take comfort that unlike many National Parks, there haven’t been billions of visitors, so I’d be one of the relative few. As it happened, Crater Lake did not make the cut. As I scrolled through the choices, I was crushed to find only one place I’d been on the whole list – Times Square. I grew up outside of Manahattan in the North Jersey suburbs, so Times Square was pretty much unavoidable. Of course the Times Square the list described was not the one I fondly remember from the 70’s, but was today’s Disney-fied version. I think I prefer my version of Times Square; with the peep shows, hookers, 3-card Monte players and glittering carpet of broken bottles and discarded hypodermic needles. What can I say? I’m just a sentimental softy. Suitably depressed that I have let life pass me by without enjoying great seafood or travelled anywhere which wasn’t ridiculously convenient, I stopped clicking on lists and came back here. Maybe typing this post would help me forget the unpleasant realizations I had discovered while trying to avoid writing this post in the first place. I started re-reading from the beginning and it quickly hit me: Not only have I never visited Canada, I’ve barely visited the US, and I live here! I figure I should hit a few seafood restaurants and maybe a scenic overlook or two before I even consider going to Canada.